Entertainment One has completed the purchase of the remaining stake in feature film production and global sales company Sierra Pictures, in which it first invested in 2015. As part of the move, Nick Meyer and Marc Schaberg have joined the company as president of film and executive VP of film and global operations, respectively. The terms of the transaction were not disclosed. Sierra Pictures has backed the likes of “Tully,” “American Animals,” and the upcoming adaptation of James Frey’s “A Million Little Pieces.” In his new role, Meyer will oversee all film content across eOne, while remaining CEO of Sierra/Affinity, the international sales company that is wholly owned by eOne. 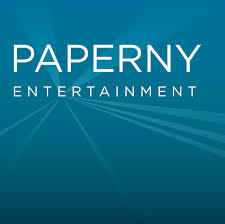 Schaberg will also continue as COO of Sierra/Affinity in addition to taking on his new role at eOne. Sierra/Affinity will remain independently operated. eOne’s CEo Darren Throop said, “Welcoming Sierra to eOne is an important next step in our strategy to increase our direct involvement and ownership in content. Together, we will continue to build strong relationships with high-profile creative talent domestically and abroad”. Entertainment One Ltd (eOne) is acquiring a 51% stake in The Mark Gordon Company creating an independent studio joint venture that will produce and finance premium television and film content for the major US networks and international distribution. The deal includes the rights owned by MGC to its existing television and film library as well as its current and future production pipeline. 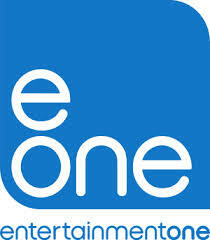 eOne will distribute new content created by the joint venture, subject to existing contractual commitments. Under the terms of the agreement, eOne will acquire 51% of MGC from The Mark Gordon Revocable Trust for $132.6 million, comprising $127.5 million in cash and $5.1 million in eOne shares (based on a 30-day volume weighted average share price) payable on completion of the deal, with the opportunity to acquire the remaining 49% after an initial seven-year term. Mark Gordon, who founded MGC in 1987, is a well known film and television producer. MGC hits, include television shows Grey’s Anatomy (228 episodes), Criminal Minds (221 episodes) and Ray Donovan (36 episodes). MGC has also produced box office successes, including Speed, 2012, The Day after Tomorrow, Saving Private Ryan, The Patriot and Source Code. Mark Gordon brings to the venture deep active relationships with leading creative talent and all the major US studios and networks. The transaction will be financed through a US$175 million extension to the Company’s existing banking facility and is expected to be earnings enhancing for the Group in the first full year of the investment. In the year ended 31 December 2013, MGC reported net income of US$13.2 million, adjusted EBITDA of US$30.0 million and gross assets of US$3.4 million. As part of the joint venture agreement, Mark Gordon has entered into a new long term employment agreement with MGC.